How far can you go with your car build? Some people are out trying to build show cars, some are battling the clock on the dragstrip, while others are out there building well-rounded monsters. Mike Davis is in the no-cutting corners business, trying to create what seems like a show fourth-generation Toyota Supra, but make no mistake about it, this Supra’s bite is far more powerful than its bark. The legend of the Toyota Supra can be dated back to 1978. However, its true iconic reputation was built around the fourth generation introduced in 1993. On that year, Toyota dropped the JZA80 – a car that would forever remain historical. After 15 years of success, the fourth generation Supra received a complete makeover, from front to rear, and everything in between. During this decade, competition couldn’t be more challenging. 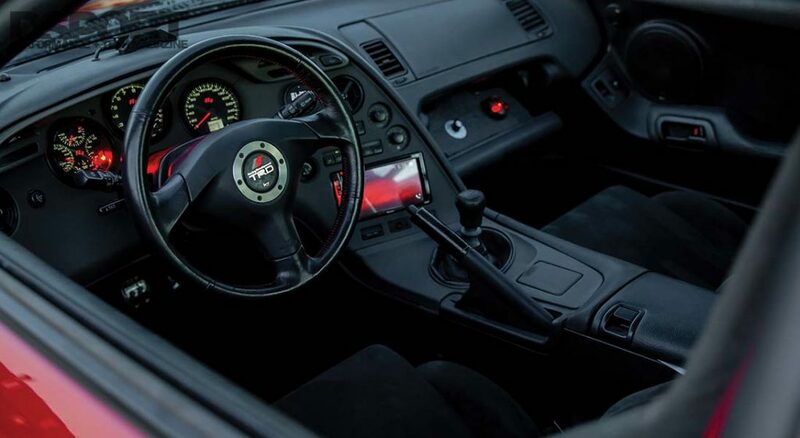 However, the Supra remained one of the top contender (if not the top) against cars like the Nissan 300ZX TT, Mazda RX-7 FD, and the Nissan Skyline. So, aside from looks, what made this platform one of the best in the world? It is no secret the Supra’s body is recognized worldwide, but the looks probably wouldn’t have come so far if it wasn’t backed by a solid foundation. The Supra was simply built as a street-legal race car. 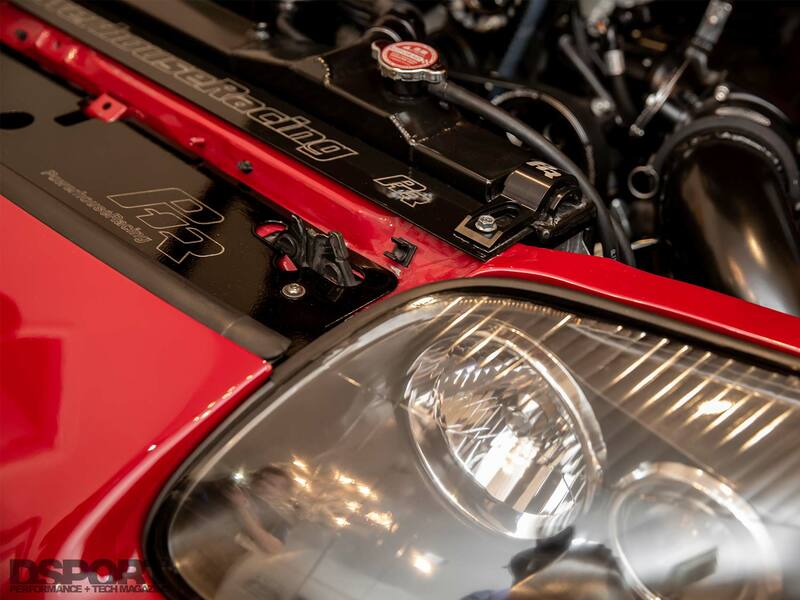 Powered by one of the best engines ever produced by a Japanese company, the 2JZ-GTE heart of the Supra is an inline-six twin-turbocharged 3.0-liter engine that delivered 320 horsepower and 315 lb-ft of torque. 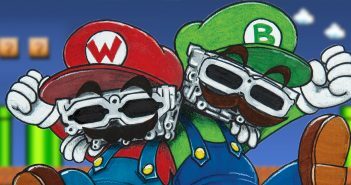 The twin-turbochargers weren’t the only thing that made this engine special, however, it was built on an iron block foundation that made it nearly bulletproof. In its stock form, the 2JZ-GTE stock block can support 800 horsepower without a problem, and if you build it, the sky is the limit for this Toyota platform. The engine worked collaboratively with a six-speed Getrag transmission. Getrag made transmissions for some of the world’s best cars, like Ferrari, Porsche, and BMW. Couple these with a front and rear wishbone suspension, and you’ve got a supercar that can smash records, handle like a dream, and look great doing so. 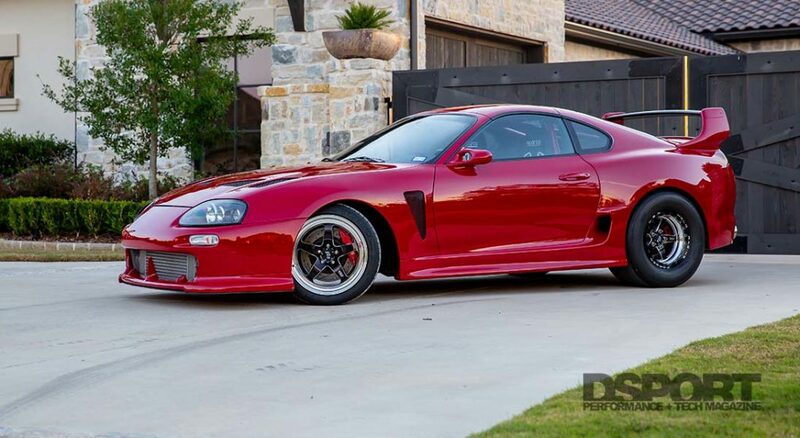 When Mike Davis watched the original Fast and Furious in 2001, he fell in love with Paul Walker’s Toyota Supra. Although Paul Walker’s Supra looked fast with its Bomex body kit, APR wing, and the overwhelming graphics, it had a bone stock 3.0-liter naturally aspirated engine that delivered 230 horsepower. Unfortunately, the stickers didn’t make it go faster. Mike, however, wasn’t interested in decals – power was far more important to him. He purchased his red 1993 Toyota Supra at the end of 2013 in Dallas, Texas. 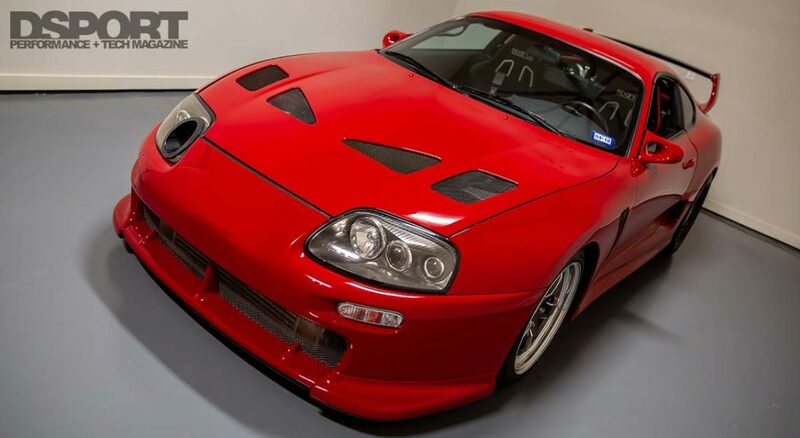 The car was previously owned by Ross Baird of Dynosaur Performance, where they build Supra motors. It was already making power, but not the kind of power that would satisfy Mike Davis. “It was underpowered. 870whp on the Texas streets doesn’t cut it,” said Mike Davis. Dynosaur Performance partnered up with PowerHouse Racing to build this Supra. 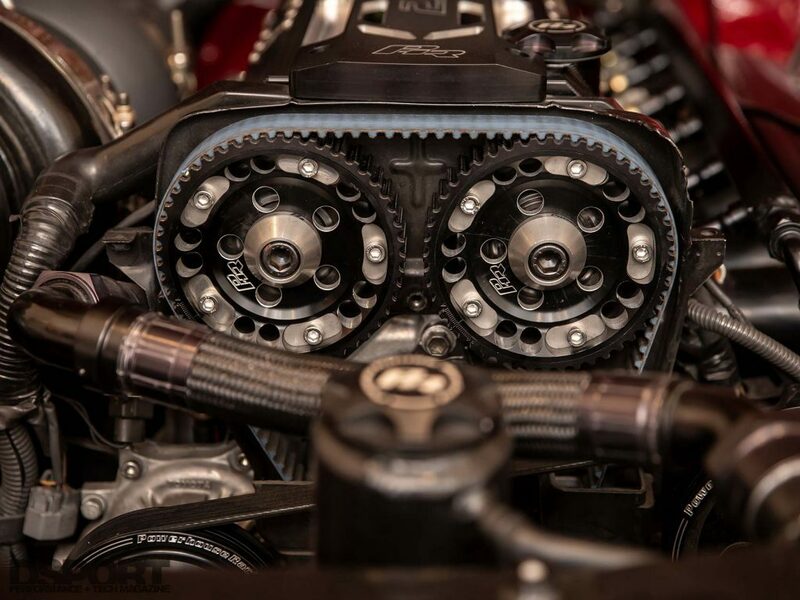 The 2JZ-GTE engine was machined and equipped with all high performance internals to achieve the desired power output. To maximize the potential of the 2JZ-GTE engine, Dynosaur Performance bored out the cylinders to 86.5mm (0.5mm overbore) and increased the stroke by 3.5mm (90mm). After replacing all of the internal parts, CNC-machining the head, and upgrading the supporting modifications, the 2JZ had a compression ratio of 11.0:1. Davis’ goal was to build a fully-streetable setup with a functional air conditioner, stereo system, etc, while pushing 1,300 horsepower at the rear wheels without using nitrous oxide or maxing out the turbochargers. To accomplish that, Mike Davis opted for two new Precision 8385 turbochargers in place of the stock ones. 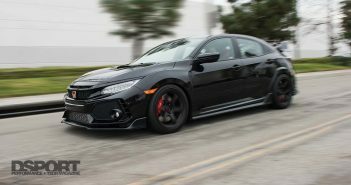 The turbo upgrade increased the power by 150whp over the old setup while running less boost. 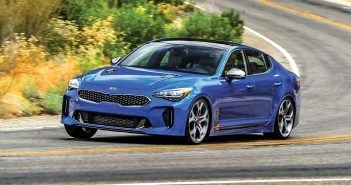 “The new turbochargers are amazing – half the lag and more power at all boost levels,” said Davis. 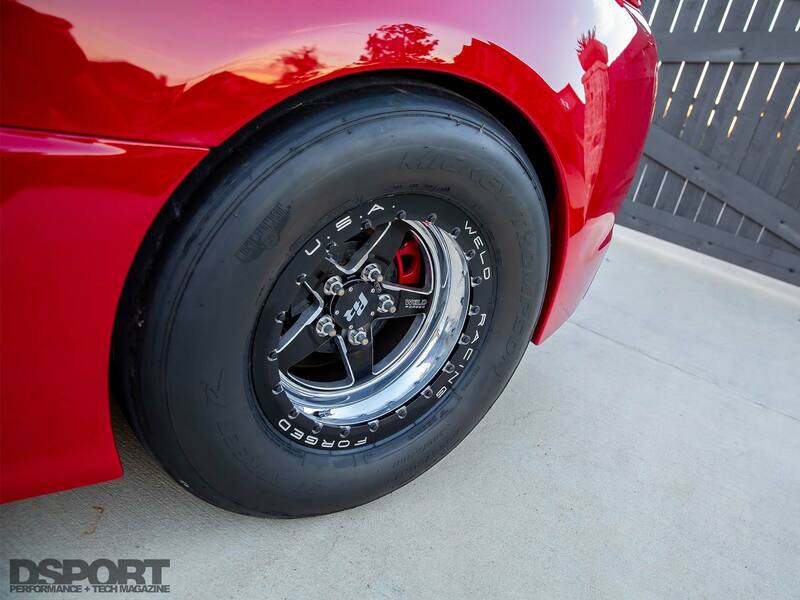 With the new setup, Mike’s Supra delivers 1,308 horsepower and 883 lb-ft of torque at 45 psi of boost. The collaboration between Dynosaur Performance and PowerHouse Racing was just the right combination to build Mike’s dream Supra. The road to the 1,300whp+ wasn’t free of obstacles. Before the latest build, the Supra was making 1,150whp. Mike was running half-mile races with it, and with the sustained high RPM, the 3.4 steel rod motor was taking a toll on the bearings. At TX2K16, the car had low oil pressure. They decided to stop running the car and pull the engine out. When they disassembled the engine, they found the spun bearings. 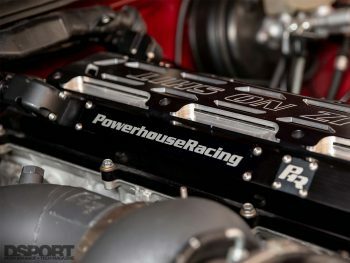 So, they decided to build a more RPM-friendly 2JZ this time around that would complement the long half-mile runs. They also wanted higher compression, so Mike opted to do an aluminum rod 3.2 build. The team was also struggling to provide the engine with the proper amount of fuel. The single Weldon fuel pump couldn’t keep up with the demands of the 2JZ-GTE. They needed to increase the fuel pressure to provide enough fuel through the single set of Injector Dynamics 2000 injectors. However, the fuel pump couldn’t keep consistent pressure, which would cause the pressure to drop at high boost. After a few days, they finally added the Bosch 044 secondary pump, which solved the issue and delivered the fuel needed. While the engine was out, they took the opportunity to clean and respray the engine bay. The body shop also addressed certain imperfections in the body and the paint. Mike finally took delivery of the car again, but after driving it for a few days, he realized he wasn’t happy with the body still. The goal was to make power, while building one of the cleanest Supras around, so any imperfections were simply unacceptable. The car was sent back and gone through from top to bottom, and the result is one of the cleanest paint jobs the team has ever seen. With the engine making the desired power and the body looking unique with the authentic TRD widebody kit, the suspension, chassis, and brakes were addressed with custom roll bars, HKS Drag coilovers, and an AP Stillen Big Brake Kit. 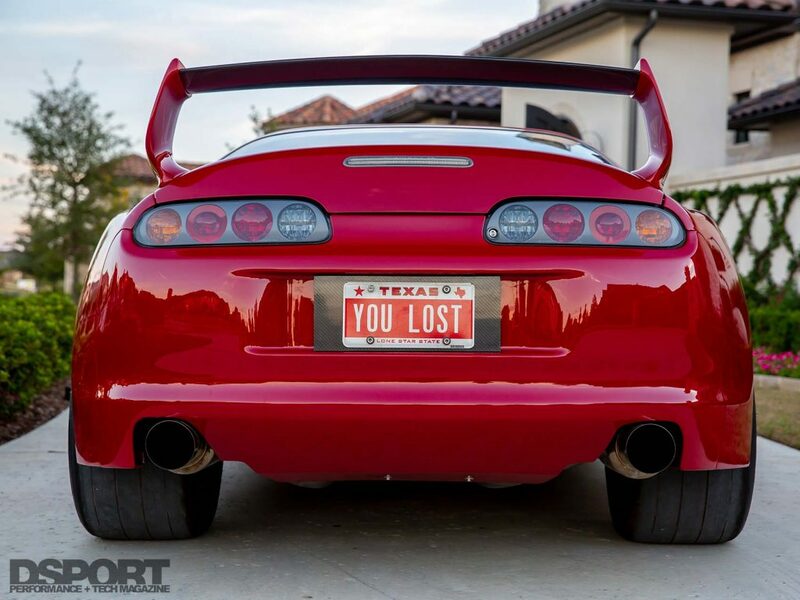 Since then, Mike’s Supra won the Wanna Go Fast ½ Mile event as the Fastest Manual Vehicle with a best pass of 189.9 mph. Between the Wanna Go Fast event and the Runway Rivalry, Mike Davis has put his Supra to the test against 40 to 50 other cars with similar power to his Supra. The Supra ran consistently at maximum horsepower without missing a beat.